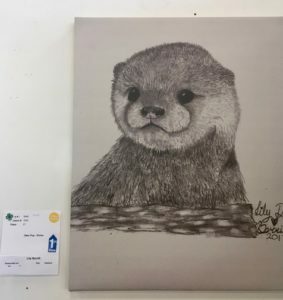 In 2018, 3 of our members exhibited their artwork at the Fair. 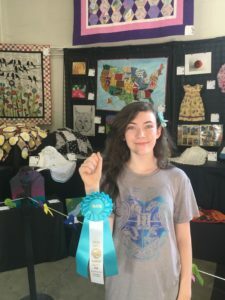 Their creations were displayed in an air-conditioned hall for all fairgoers to admire. 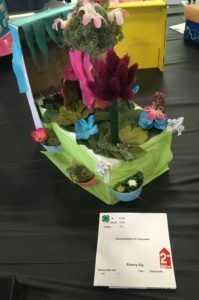 One member created an adorable shoebox float and she won 2nd place! So creative! 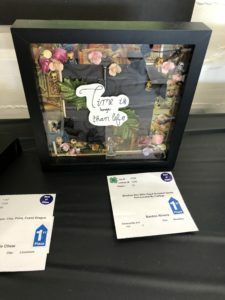 Another member submitted his shadowbox from the Cursive, Calligraphy & Collage Project this Spring. 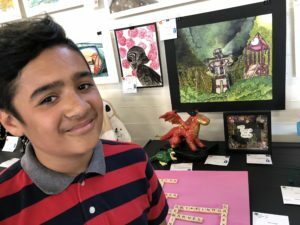 He was awarded 1st place and “Best of Class” for his work! 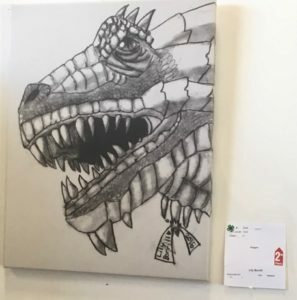 And the 3rd member entered 3 of her drawings which received various nods like “Judge’s Favorite”, “Best of Class” and “Best of Show”. 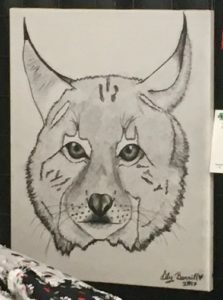 Her lynx drawing was also selected for a sponsored award for “Best Drawing”. She received $50, a very sweet letter from the sponsor, a former 4-Her, and got to attend a reception. Congratulations to everyone and thanks for representing Emeryville 4-H!